Recently, I was kindly invited by a friend to attend the prize-giving ceremony of the chinese school where her son is learning chinese since six years. I was impressed by the fact he was one of the students who had the best result of his class, but also by the fact he is learning a difficult language which has not a lot of common things with western languages. He will start soon his seven year, and it is obvious that we will gain a precious passport for the future. This make me think to a few things. We says that language is the cradle of the thought, trough language, we can communicate each other. But the language is much more than a communication tool. Some languages are more spread than others. 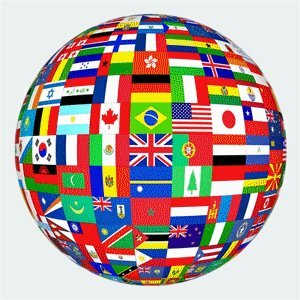 Let us talk about english, which is spoken around the world, and is considered as the international language in the business, the diplomacy..If we consider languages only as a communication tool, and as you can speak english, why should we learn other languages ? Language is a communication tool we use to share ideas, feelings, stories. The language is a part of our identity. I would say that language is also the cradle of the culture. In linguistics, there are two components, the signified and the signifiant. The signifiant is the acoustical image of a word, the signified is the concept, the mental representation of something. It means that we will translate a word or a sentence from a language to another, but the perception will not be the same. Some concepts are not literally translatable from a language to another. This is an evidence that the language is the reflect of a culture. It is obvious that if two people are speaking each other in a language which is not their respective native language, their will first not express exactly the same things as if they do it in their native language, and they will not perceive the message as they would perceive it in their native language. By mentioning that point, I could see a social dimension of the language. By learning a language, you are showing a motivation and an interest for the language and the culture of the person you want to communicate with, in his native language. I often experienced that when you learn some words from the language of your interlocutor, he appreciates it and considers this as a mark of respect and of interest for his culture. And by learning the subtleties of the language, you empower the relations with your interlocutors, but you will perceive much more better the feelings, the signified of the language, and by the way, you will expand your own culture and knowledge. In a world where we talk about globalization in many areas, it remains important to be able to speak “locally”. Each language, each culture is a personal enrichment. The concept of culture makes cense if other cultures are existing. Languages are not only communication tools, but also an extraordinary open door to the future and to the world. Let’s think globally and speak locally ! Development, a sustainable way of growth. BP's oil spill, an ecological disaster. The United States of America are facing the worst ecological disaster since more than a month with the BP’s offshore platform accident. The flow was already categorized as the largest offshore oil spill in the American nation’s history, but the new figures are much higher than the previous estimates. President Barack Obama pronounced a speech, saying it is time to develop the field of new and renewable energies, cleaner for the environment. But the question is to know if there is really a will to develop such energy field? There is a debate and different mind regarding oil reserves. The extraction of oil becomes more complicated as we have to extract it deeper. The development of more sophisticated extraction techniques shows that we are able to find new oil reserves. But this has a cost, not only on an operational level but also on the ecological level. Money is spend to develop more sophisticated extraction techniques, but have we the full control of the process in case of accident, and are the safety measures always followed? The present situation in the Mexican gulf seems to show it is not the case. As often, companies are focused on short-term profit, forgetting the risk management. Oil generates appreciable profits, but in the Gulf oil spill, the ecological and economical cost is probably much higher for the country, compared to the generated profits on the same period. The balance of such disaster is clearly negative, as the estimated cost amounts to 1 billion usd. This oil spill will have short and long term effects on an economical and ecological point of view. I would like to make the following comment. Often, ecology and economy are considered as two distinct things, incompatible and with no links between. This is a wrong point of view. Each natural and ecological disaster generates re-construction costs and no added value. In the case of the gulf oil spill, it would have been more interesting to spend the lost money to the development of renewable energy technologies. Research and innovation are an economical motor. The development of sustainable and renewable energies resources provides long terms economical and ecological benefits. In order to develop a sustainable economy, it is important to analyze the benefits and the risk of each choice, each alternative, but we have also to distinct the difference between growth and development. Let us take an easy example: the growth of the pharmaceutical industry in a country is a good deal for the economical statistics, but it means that the consumption of medicine is increasing, which means that people are not in good health. This is not a really positive situation. On the other side, if the building industry growth is increasing because you build new schools and empowered the education system, this growth contributes to development with future long term economical and social benefits. Development is the key of sustainable growth. Each crisis we met is destroying values, and the time and energy we spent to recover the lost value, to be again on the start point is a pure waste. A growth based on sustainable value contributes to a long term development, where each step contributes to the next one. It means also that in a development process, each component needs to be taken into account, not only the economical side, but also the social and environmental components, and all these components need to be integrated on a long term view. 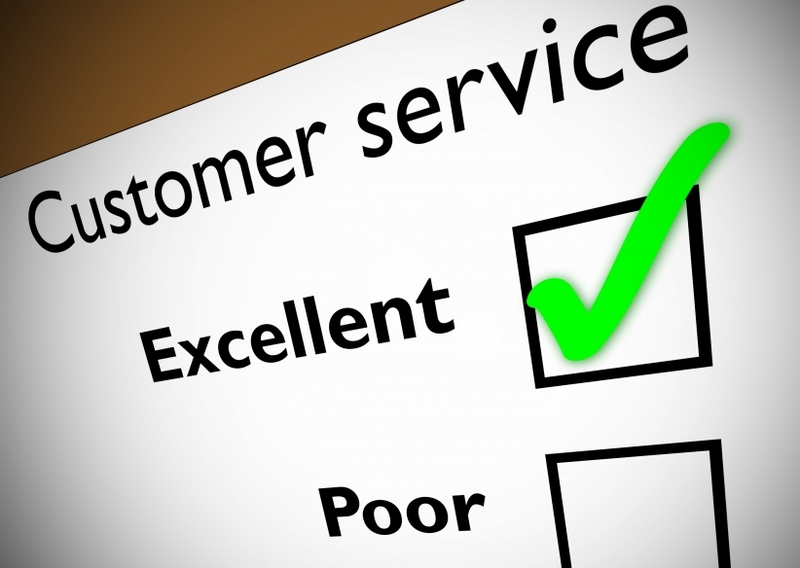 In a previous posting, starting from a personal experience, I was talking about the customer service provided by large companies in the business -to-consumer segment, which often has only the name of customer service but where the customer has to do everything himself. If I am coming back to this subject, it is because I had to face again such situation with computer problems, and that I found a solution which is not really in the trend of the usual customer services policy the companies wants to impose to us. Two weeks ago, I was facing a computer crash with my laptop. Black screen, no answer to any input. I took contact with the manufacturer, and then, a nice telephone travel began! I spent around 45 minutes on the phone, and during this time, I was transferred to 10 different people before to have the right person. I was told that my machine was not under guarantee anymore, and so, that I will have to pay the repair of the machine. This was not a secret for me, as I subscribed by the time a contract for 3 years full services, and, as the computer was 4 years old, this contract was overdue. As far as I understand, the function of a technical service is to provide service and technical solutions to the customer, even if we have to pay for it. Does such stupid question means that, because my computer does not work anymore, that I have to stop working? Then, I was asked by a technical to proceed to a range of test instructions in order to diagnose the problem of my computer. As I was suspecting a major issue to my computer, and as I was loosing my time to do things which are not in my competences and to the detriment of my customer, I decided to contact a member of my professional network, an IT consultant providing services for small and medium companies. I sent a mail to him by explaining my problem. Around 10 minutes later, he contacted me by phone to have more explanations about my problem, and to get more information about my needs. In function of my needs, he sent me 15 minutes later a range of price offers for available machines, fitting with my needs and expectations. I selected a model and sent a mail back with my order. One week later, the guy delivered the machine and organized the retrieval of my data from the old machine to the new one. By chance, my hard disk was intact, but the main board was out. By experiencing such situation, I listed few advantages of a “human” service, which made me think that small is still beautiful. The first advantage is that by having a privileged contact, you can have an immediate quality service, as the contact knows about your problem, and will handle it from A to Z. The fact that you will be satisfied or not by the quality of service is a concern for him. Another advantage is that you can have a personalized advice in accordance with your needs, which could represent a appreciable money saving. The manufacturer where I bought my previous machine proposes a website where you can select the different components of your machine, but if you are not an expert or if you have not the benefit of a tailor made advice, you will probably spend more money than what is needed to fit your needs and expectations. By benefiting of an onsite technical service, it avoid me to lose my time and in my case, to lose money too. By having such service, I can continue to work for my customers, and not spend my time to solve problems out of my competences and my core business. If I have to interrupt my services to my customers, I am paying money twice: the money I will not invoice to the customer, and the money I will have to pay for the service I requested. We have to see not only the cost of a service, but also the loss of revenue for a non-service. It is obvious for me that the human side of a service remains an asset. It brings also on the lights that there is a difference between management of claims and real added-value customer services. The services provided by local contractors is more added-valued for small businesses, and is also an asset in term of local economical activity and local employment. It is obvious for me that service based on human relationship still has a future. But as consumer, we have to remind that we are first human being, with respect rights, and not consumers only considered for their money. Each of us, we can contribute to sustain such human service, it is just a question of will. PS: If you are owner of a small company located in Belgium and if you need IT services, please send me a mail and I will forward the references of an excellent IT consultancy company. Freelance Financial and Project Manager , passionate of new technologies, personal development, all what make us evolve every day ! Looking for a Coworking Space in Brussels? Visit the BetaGroup coworking space; one of the best place to work ! MolenGeek, a Fast Growing Tech Community !